Lanzarote matkavideo ja tietoa kohteesta Lanzarote. Katso HD-videomme kohteesta Lanzarote. Arviointien yhteinen keskiarvo - Pohjautuu 444 arviointiin. Lanzarote is situated just 70 miles off the coast of Africa, the most easterly of the Canary Islands and one of the smallest. Still the island is a popular tourist destination, with its all year round sunshine, beautiful beaches and good selection of attractions and tourist facilities. As with the other Canary Islands, Lanzarote has a volcanic landscape, which gives the impression that you are in a lunar environment; so much so that parts of the movie Planet of the Apes were shot here. The island has a UNESCO Biosphere Reserve protected status. 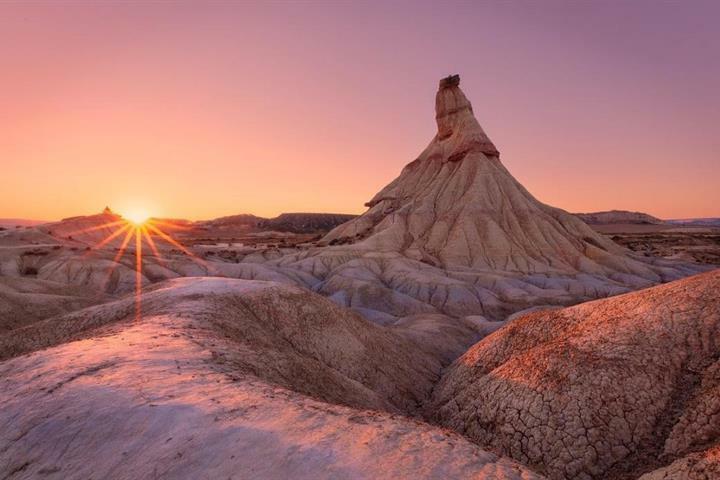 As recent as the 18th and 19th centuries there have been volcanic eruptions on the island, and the dry climate (and lack of erosion), means that this volcanic landscape appears much as it did just after the eruptions. Local authority building regulations mean that there is no billboard advertising and no high rise building construction allowed in Lanzarote. Whether you are looking for a lazy beach holiday or a fun filled and action packed adventure, Lanzarote offers the best of both worlds. 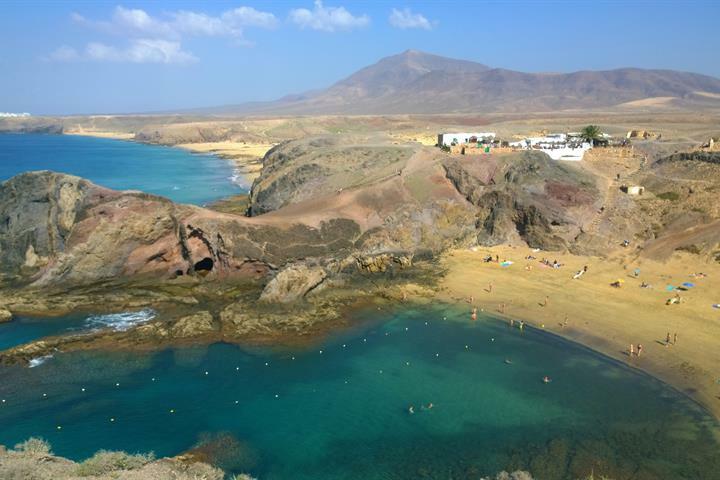 With its volcanic origin Lanzarote was created over 35 million years ago by what is known as the Canary Hotspot. Later on records show that it was the first of the islands to be inhabited; first settlers were the Phoenicians around 1100 BC. Greek writers and philosophers wrote of Garden of Hesperids, the land of fertility. There were many settlers and expeditions that became entranced with the island’s flora and fauna of the centuries. It was occupied by the Romans and the Moors and then in the 14th century the Castilians fought and conquered the islands. Only to be ousted out in 1585 by an Ottoman admiral who captured the island. Over the centuries the island has been hit by several volcanic explosions in the17th, 18th and 19th centuries. 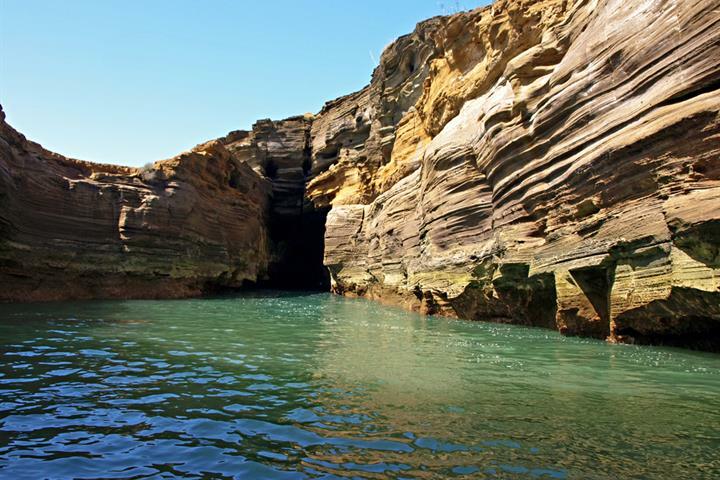 Amongst the many stunning volcanic features of Lanzarote is the longest volcanic tunnel in the world, the Atlantida Tunnel, which is over 7 km long and incorporates the La Cueva de los Verdes and Jameos del Agua. National Park, a must for anyone visiting Lanzarote. If you want to find out a bit about Lanzarote art and culture then a visit to The Cesar Manrique Foundation should be on your itinerary. Cesar Manrique was a local artist and architect who fought to keep Lanzarote free of high-rise and over development, declaring that no building should be taller than the highest palm tree and all the buildings should be the same colour. He left his distinct artistic stamp over much of the island and the foundation located in Taro de Tahiche is one of the best representations of his style of work. Another one of Cesar Manrique’s works, in fact his last, was the splendid Cactus Garden. The gardens are home to over 10,000 cacti, belonging to over 1,400 species from America, Madagascar and of course, the Canary Islands. acoustics of this natural phenomenon. 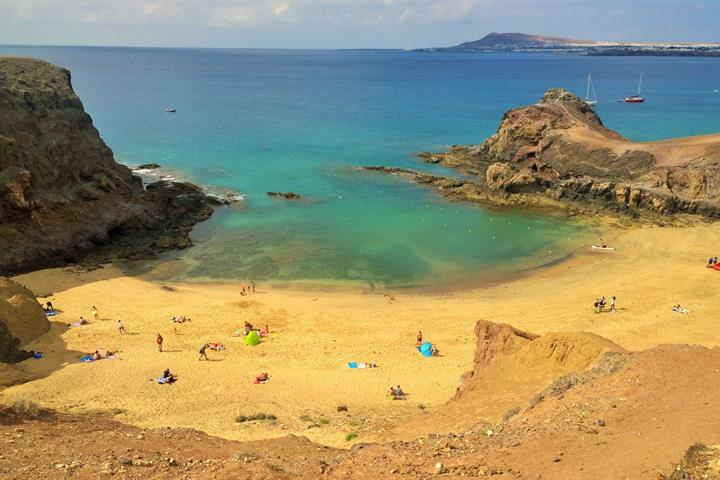 Lanzarote has a large variety of wonderful beaches and despite the volcanic nature of the island Lanzarote also boasts several beautiful white beaches such as those of Playa Blanca and Papagayo. From the beautiful white sands of the North to the dark volcanic sands of Puerto Del Carmen, there is a stunning contrast that is unique to Lanzarote. 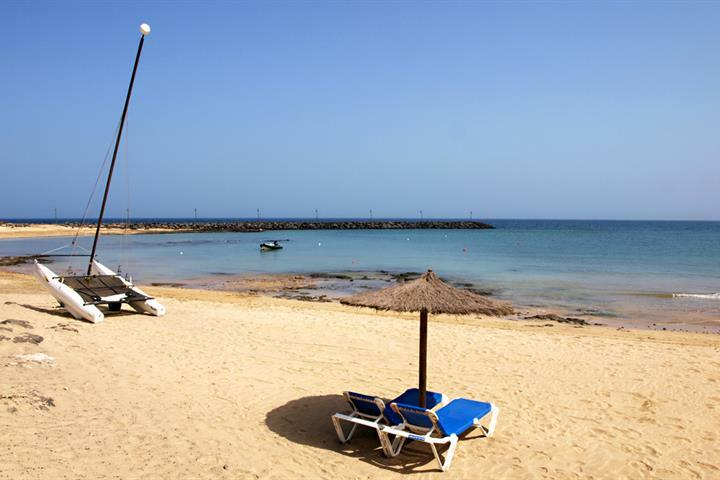 Playa Grande is the main beach at Puerto Del Carmen and is a long beach facing the busy resort. 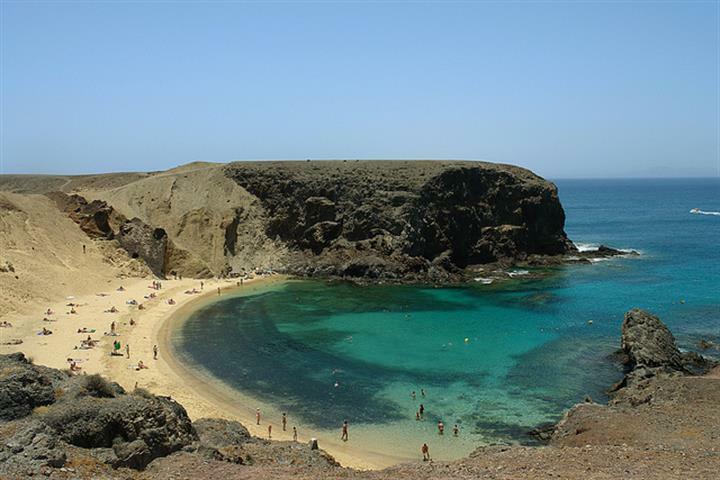 There are various beaches in the area running from Arrecife airport, Guacimeta, through to the old town of Puerto Del Carmen. Close to the old town lies the picturesque beach of Playa Chica, where you can partake in a host of sporting activities, including diving lessons, jet skis, parasailing or snorkelling. If you enjoy water sports such as surfing and body boarding, then head to the beaches of Famara and La Santa to the West. Famara is world famous for its surf, but definitely not for beginners or the fainthearted. location from where have sprung many international champions. 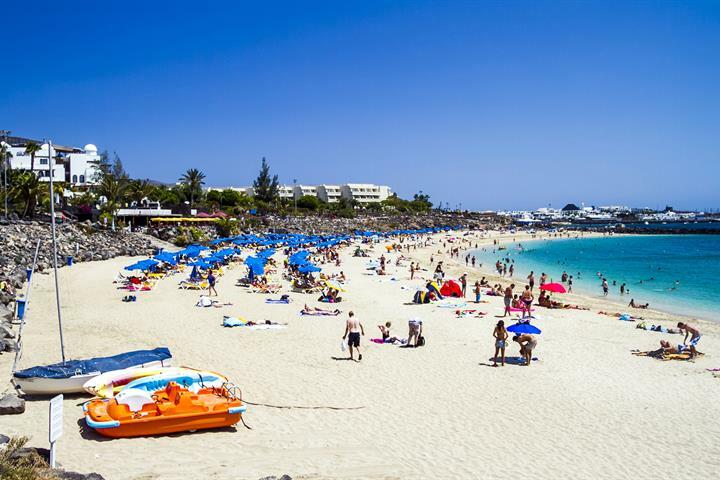 Finally the golden beach of El Reducto, situated at Arrecife, Lanzarote’s capital, enjoys great facilities and is facing some excellent Canarian bars and restaurants. The annual carnival normally takes place at the end of February, beginning of March and is an exciting event in the Lanzarote calendar. With processions taking place each year in Arrecife and the main tourist areas. Lanzarote enjoys a mild dry climate with average daytime temperatures ranging from about 21°C in January to 29°C in August. Annual rainfall is just 140mm (5.5 inches). 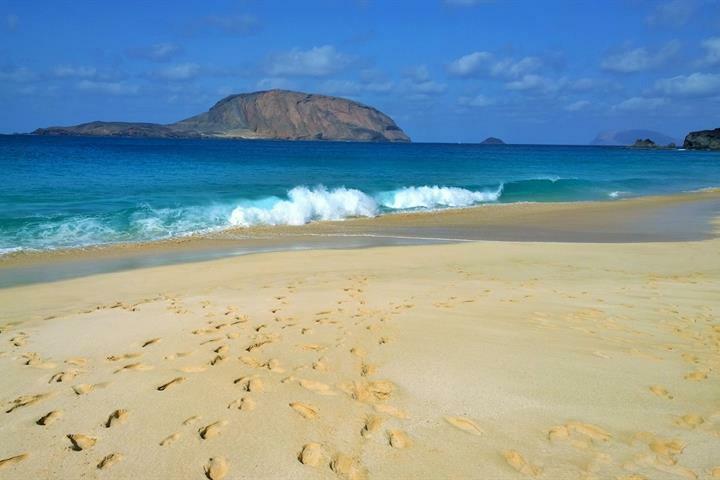 This makes Lanzarote the perfect year-round destination. Lanzarote on lämmin ja leppoisa lomasaari Kanarialla. Löydä parhaat paikat missä yöpyä Lanzarotella ja suunnittele oitis seuraava lomamatkasi lämpöön! Laadimme listan Kanariansaarten parhaimmista nudistirannoista. Mukana pienempiä poukamia sekä silmänkantamattomiin jatkuvia nakurantoja. Los Ajachesin luonnonsuojelualueen suojassa sijaitsee Lanzaroten upein rantakokoelma, joita kutsutaan Papagayoksi. Tervetuloa paratiisiin. Etsitkö täydellistä rantalomakohdetta Kanariansaarilla? Tutustu suomalaisten lomaklassikon Lanzaroten parhaimpiin rantoihin! Lähde erilaiselle päiväretkelle Lanzarotelta ottamalla Òrzolasta lautta pienelle La Graciosan autiosaarelle. Saari on upea ilmestys! Tuliperäisellä Lanzarotella on ainutlaatuista taikaa. Tutustu saaren epätavallisiin, jopa hieman outoihin nähtävyyksiin. Kaikilla Kanariansaarilla on oma viehätyksensä ja ominaispiirteensä. Tutustu Kanarian suurimpiin eroihin ja löydä suosikkisaaresi!